1st Class was set up to provide a high quality teaching service in the local areas of Skipton, the Yorkshire Dales, Craven and Harrogate. 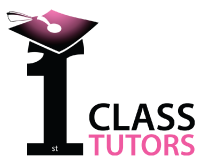 All the tutors are local and know the area well and are experts in their subject area. If you need a tutor, please get in touch, or if you would like to tutor for us ring Lynne Wilkin on 07976 290 251 / 01756 793 893. We believe that each person is unique and therefore needs a personal and effective, tailored learning plan. Our mission is to provide a well-planned, valuable and caring service, provided by professional, qualified tutors. A good private tutor will build confidence and knowledge as well as help to create the mindset to succeed. Tuition delivered in an environment to be decided by parent and tutor.